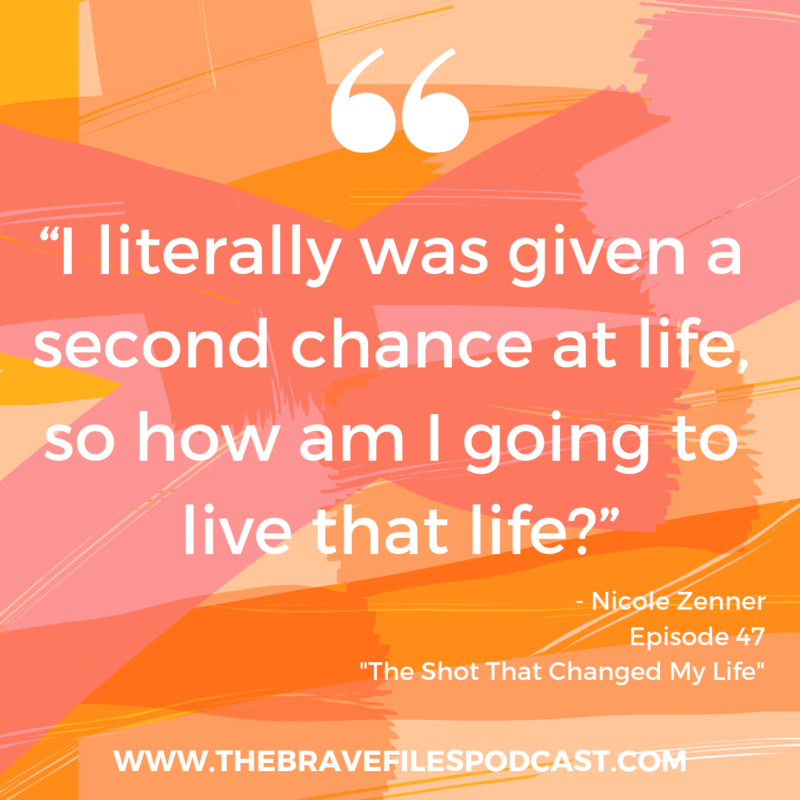 Trust us, Nicole Zenner’s story is a powerful one. As a survivor of gun violence, she fully understands the toll that trauma can take. Now, she plays an active role in her community to combat gun violence and ensure a safer environment for everyone. The day that forever changed Nicole's life began like any other. During an evening trip to the local store, she noticed a young man running down the middle of the road. He yelled out for help, and Nicole felt called to offer assistance. To her horror, Nicole found a gun in her face rather than the opportunity to help someone in need. The man fired a single shot just inches from her head. Then he fled the scene. Nicole was left sitting there, frozen in shock. Miraculously, she only suffered minor physical injuries. Thankfully, her physical injuries were not severe. However, Nicole suffered significant mental and emotional turmoil from the ordeal. As can be expected, she was extremely angry. The court process was tiresome and lasted months. Nicole experienced immense hatred when she thought of the man who had almost killed her. This emotion often surprised and frightened her. She soon learned forgiveness is not something that comes easily. Given feels she was given a “second chance at life” and she's determined not to squander it. Nicole makes a conscious effort to make the world a better place, every day. She does this both through compassion and activism. 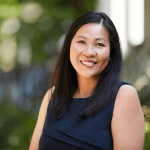 She works closely with organizations involved in understanding the root causes of gun violence and fights to make our communities safer. Through this work, Nicole has developed a deeper understanding of the systemic racism. This systemic racism is part of what that lead to the violence she experienced. She knows that her energies can either go towards anger and hurt or healing and restorative justice. She constantly chooses the latter. This brave young woman takes compassion to a whole new level! As humans, we are called to stand up for those who can’t stand up for themselves. Overcome pain by focusing on gratitude. It’s hard to stay negative when you are surrounded by joy and love. In order to truly make a difference, we need to understand the root causes of gun violence. When you give, you receive what you need in return. Nicole encourages everyone to support Everytown for Gun Safety. 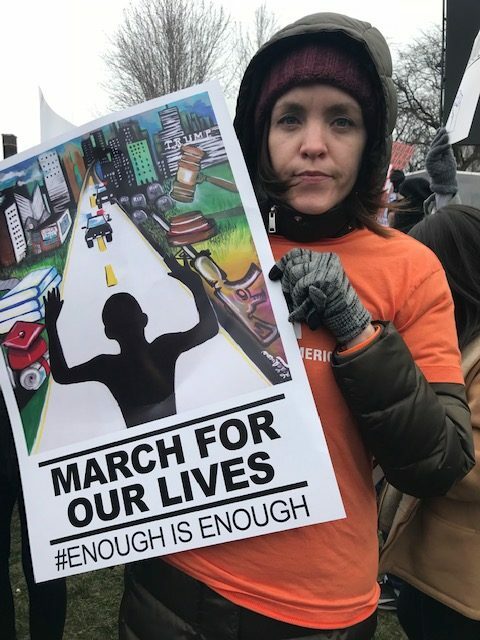 The organization works to end gun violence and build safer communities. Everytown for Gun Safety conducts necessary research to better understand the root causes of gun violence. Through this research, communities gain a better understanding of how to come together to reduce violence. Nicole encourages you to donate and also get involved in your local Moms Demand Action groups. Connect with your nearest group here. 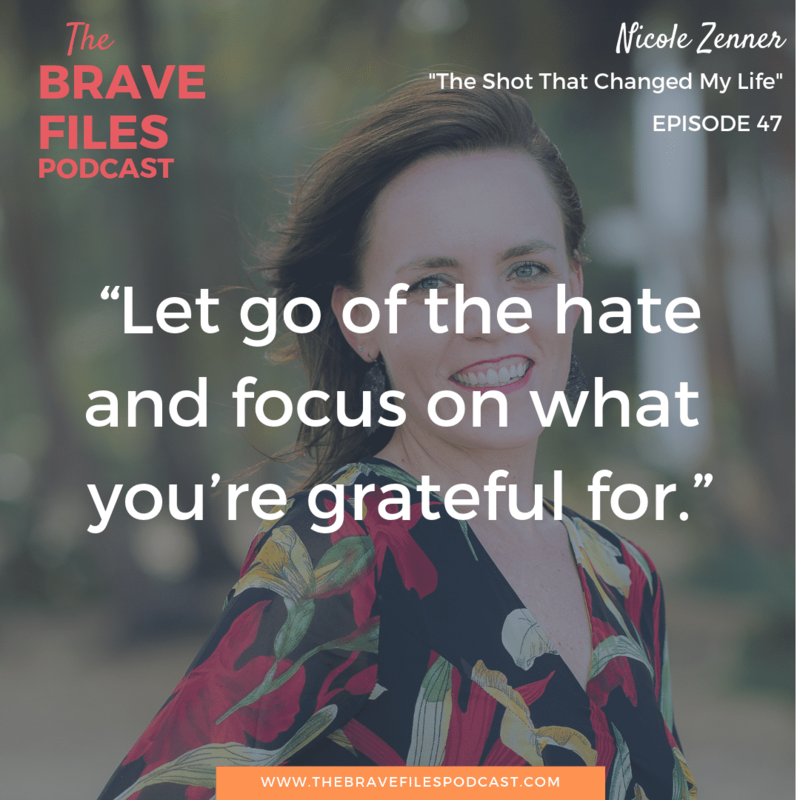 Nicole Zenner is filled with joy and love and she graciously shares it with the world. You would never know, seeing her today, the terror she has experienced in her life. 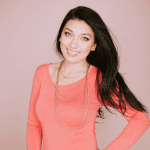 We invite you to learn more about Nicole’s business, Zen Events. 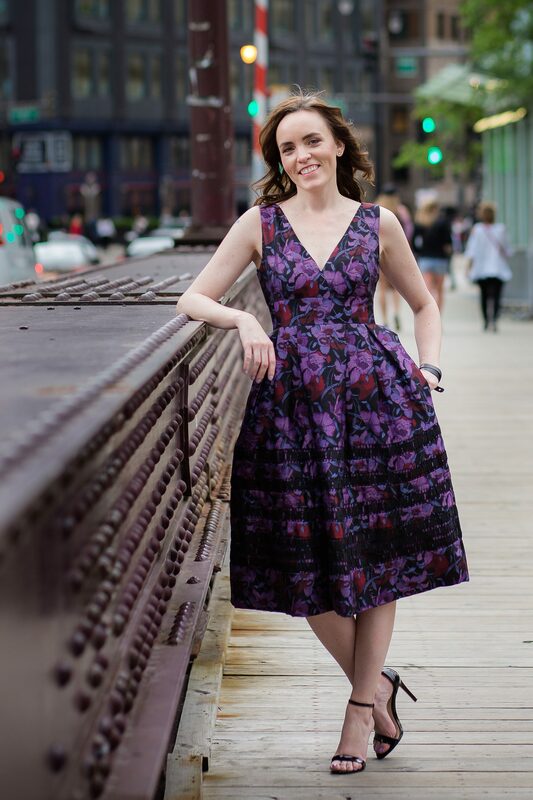 Her passion shows through her work as a wedding celebrant and event planner. You can also connect with her on Facebook and Instagram. Nicole fights for gun reform, in the freezing cold, with her fellow citizens. 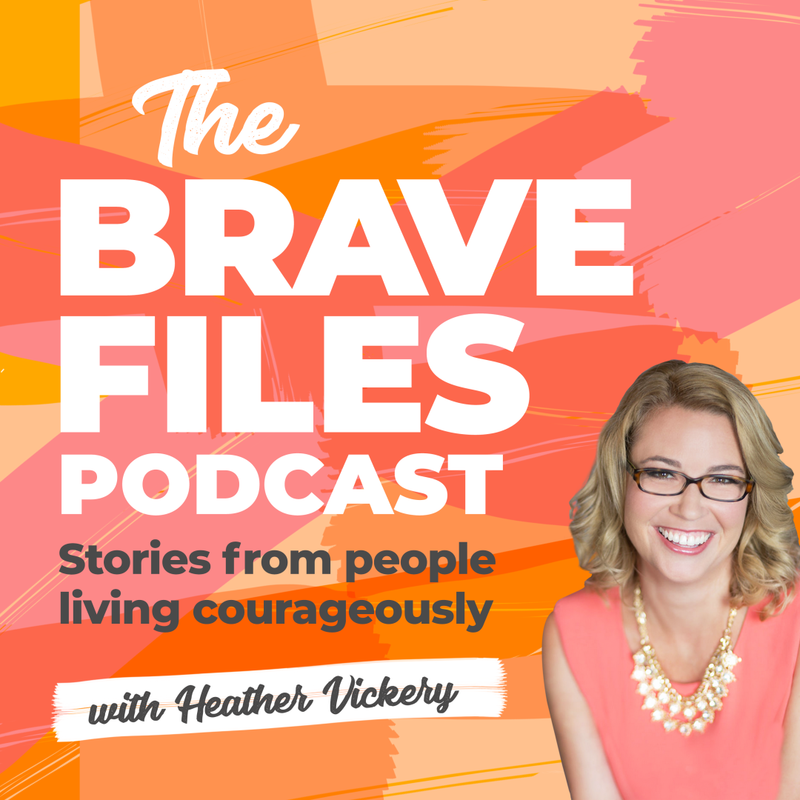 Heather Vickery, host of The Brave Files, is honored to count Nicole as one of her dear friends. 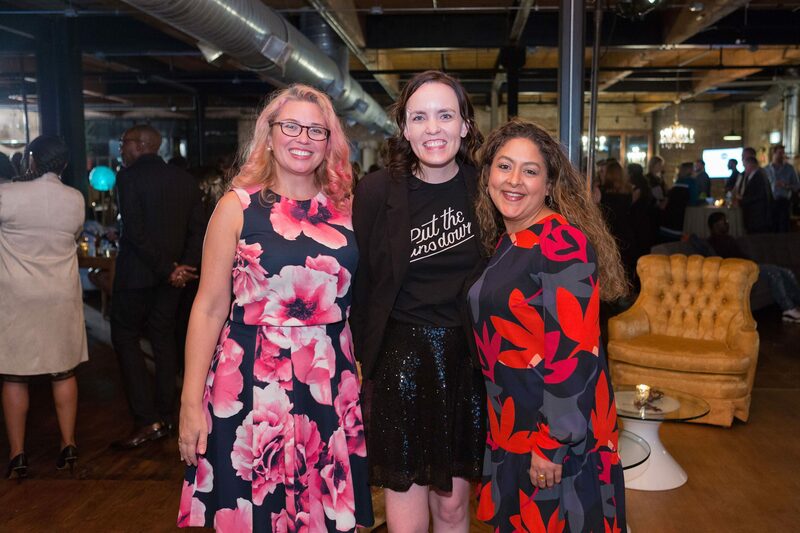 Here they are pictured with another friend, Jenn, at I Grow Chicago's annual fundraiser. Nicole was the lead event planner for this wonderful event. 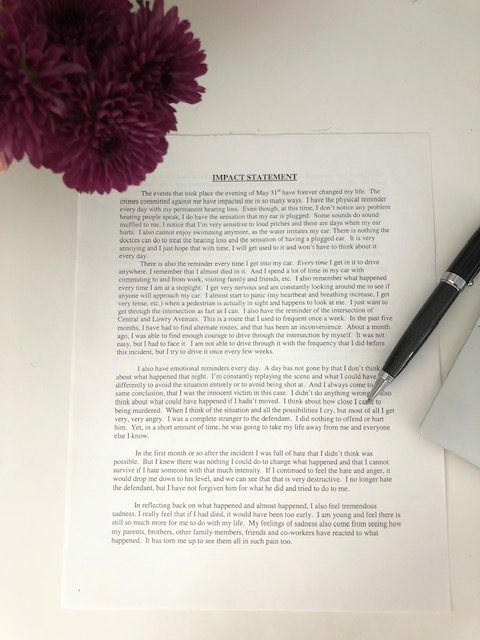 Nicole wrote and presented a”Victims Impact Statement” for the trial of her attacker. Nicole credits these two books in her healing process. 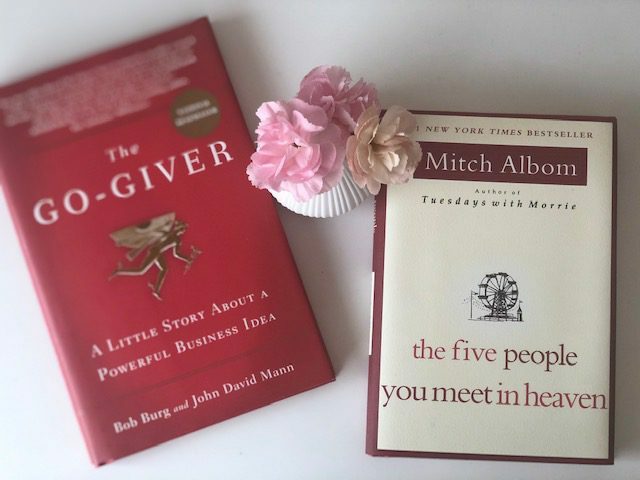 The Go-Giver and The Five People You Meet in Heaven. 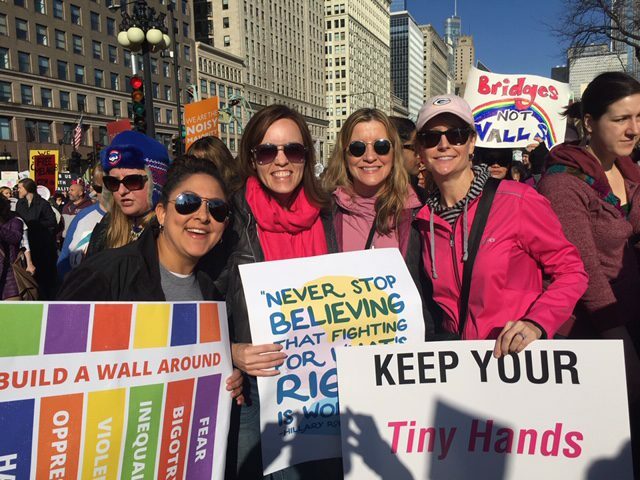 Nicole gathers with friends, proudly and often, for protests and rallies. 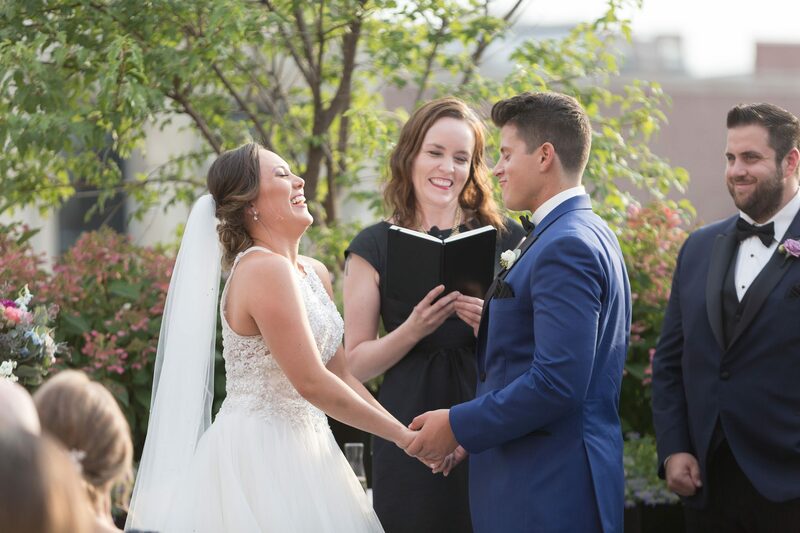 A gifted wedding celebrant and event planner Nicole loves her work. Today, Nicole is a confident, accomplished and brave woman. She fights for gun reform and social justice. She is a shining example for the world.